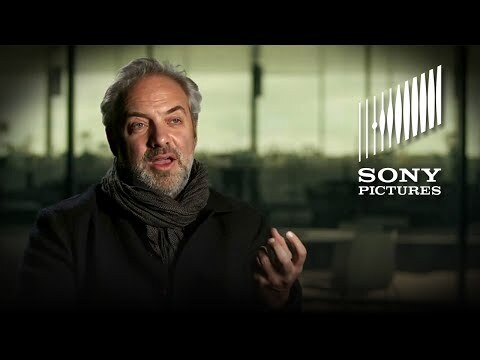 I thought it would be nice to open a thread to discuss any shots or scenes that appeared in the trailers but were non existent in the final product. Please discuss all aspects relating to deleted scenes/alternate versions of Bond films here. The scene with M (overdue holiday) changed slightly from trailer to final movie. Hinx's killing of the Spanish agent is not shown like the trailer. What do you mean the ones listed on the main site? I noticed that too. That scene has a shot of Bond is slightly on the side instead of a front medium shot like in the trailer. It is. I also think it's said, by Bond, in a more serious tone than in the trailer. Probably for the better, as I couldn't understand that Bond was saying "overdue holiday" in the trailer. And what the source for that in our website : "Craig insisted on reshooting the scene where Moneypenny visits Bond's flat towards the end of filming..." ? "Do you know what name links them all?" Can someone who speaks French translate this? Google Translate makes a mess of it. Actually, Q says "Do you know who links them all?" "Him" And Bond is talking about Oberhauser!! In the trailer I'm pretty sure bond say's "me". Yes its an example of a trailer manipulating dialogue for a different effect. Bond saying "me" was not in the film though. I need to get my hands on the full love scene between Bond and Lucia. Is it censored where you are? At 0.45 seconds here there is a scene between M and Moneypenny that didn't make the final cut. In fact there are some pretty dodgy leaps the film makes with the London scenes whilst Bond is in Austria. I'd imagine this scene would have smoothed out those creases. - Bond asks Moneypenny to look into a man called Franz Oberhauser. She basically does a Google search in her apartment. - Soon after we see Q is in Austria and he tells Bond that "Franz Oberhasuer is dead". Bond never confided this information with Q. I think the film is missing a scene where Moneypenny talks to Q about this. Also we've never even seen Harris and Whishaw have scene together let alone imagine them sharing such information with each other. It's only Bond who has a relationship with both independently, not together. - Despite this Q and Moneypenny still interrupt M's dinner with news on an investigation they have been carrying out on Spectre. At what point do they pull their resources?? Like I said clearly a few scenes were clearly trimmed out from the London sequences, and on repeat viewings it becomes more clear that the storytelling just dosen't hold up to scrutiny. On my second viewing, I noticed how Q insists quite a few times that Franz is dead for some reason, when in the newspaper article, it clearly states that his body wasn't recovered. These scenes better be on the Bluray or EON will be receiving a very unpleasant call from me. Also one I've noticed. 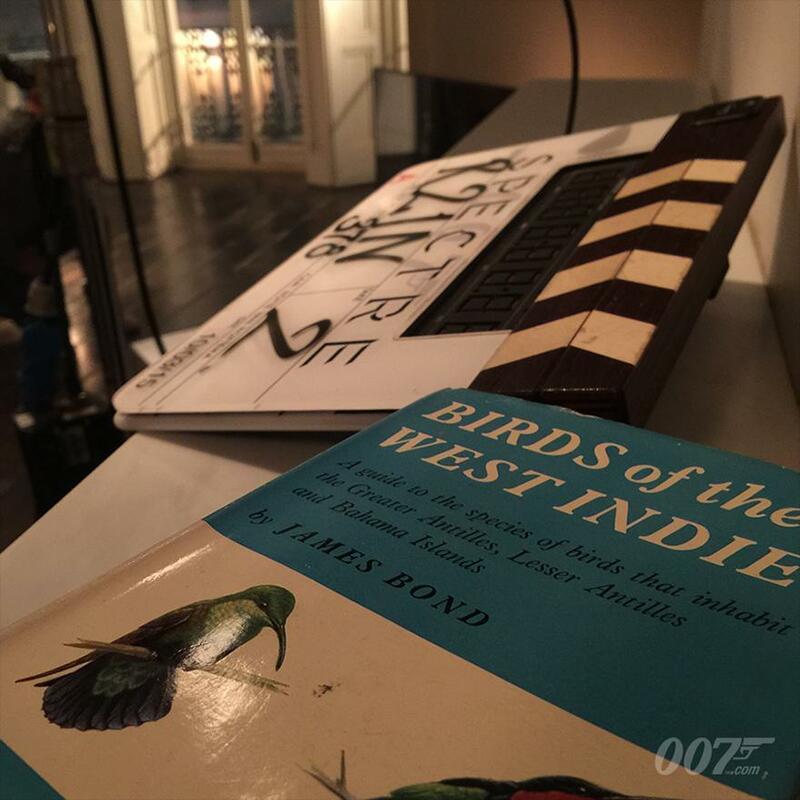 During the final stages of filming we were given a clapperboard photo showing Birds of the West Indies in what appeared to be the re-shoot of the flat scenes. Did anyone spot it in the film? This was in Bond's flat? I imagine a great story behind it being there, if so. As expected, the DVD/Blu-ray do not contain the said deleted material, so it's unlikely these will ever see the light of day. Make sure to put that picture into a link, @jake24. Just looks like some downtime in between shooting the train scenes to me. The annoying alternate take they used in the final film when Oberhauser says "Welcome James. It's been a looong time....and finally, here we are"